Gem of a house in Middletown. Almost 1700 sq. ft. recently used as a 3 bedroom (one of 2 family rooms was used as a 3rd bedroom) or you can keep it a 2 bedroom. Family room with fireplace and living room with fireplace. Totally remodeled, fully equipped kitchen with hardwood floors. 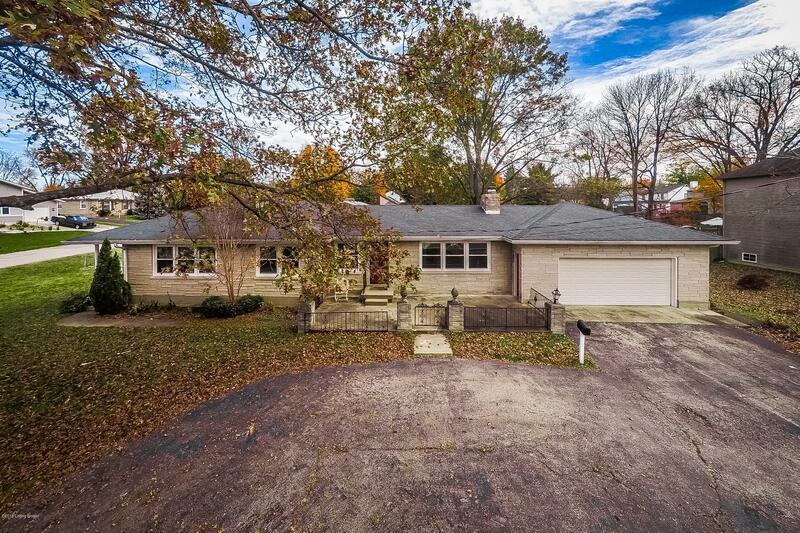 Large full bath with tub and shower, plenty of closets, basement, 2.5 car attached garage, front circular driveway, young roof, deck, and fenced yard. Very striking home in the heart of Middletown. Property consist of 3 parcels which comprises the large fenced yard.